Ever since the dawn of human civilization, hand tools have played a major role in day to day lives. Hand tools such as screwdrivers, hammers, spanners, wrenches, strippers, cutters, vices and clamps, strippers and cutters, pliers, bars & handles form are essential for industrial applications, DIY projects, and workshops. To meet the needs of technicians, professionals, and office-based users, Moglix has come up with a wide range of hand tools online. The products that we are offering have been sourced from leading brands in the market such as GB Tools, Eastman, Taparia, Prima, Everest etc. What are the different types of Hand Tools? Screwdrivers are of different types. Slotted screwdrivers are one of the oldest types of screwdrivers. They are not much in use these days since users find it difficult to tighten them without damaging the head of the screwdrivers. Screwdrivers which have slotted heads need a tool which has a flat blade. The tapered tip’s angle when viewed from different angles is highly important as it will decide how the tip will grip the slot’s sides. Tools with good quality come with tips which are parallel to the tip. This ensures the tip doesn’t slip out the slot when it is under high torque values. The Phillip tip screwdriver is another type of screwdriver which resembles a cross. But screwdrivers of this type which is of high quality have a round-shaped tip. They are usually marked with a number engraving on the head. This number specifies the size of the drive which is required. Philip tip screwdrivers of large sizes are ideal for use in industrial applications while for DIY purpose, screwdrivers with a drive in the size between 1 to 4. Torque screwdrivers are shaped in a way similar to a six-pointed star. However, their points are rounded off. They do not involve any angles and the large contact area that exists between the screw and its driver offers users with superb contact. Therefore, these screws can be easily tightened to high torque values as well. However, torque screwdrivers do have a drawback. These screws are quite shallow. So, users need to ensure that there is no dirt in the dirt which can minimize the effective contact area which exists between the drive and driver. Hex Drives come with six even straight sides. Most of the hex drive fasteners that you will come across in the market are bolts rather than screws. However, there are screwdrivers that are available for driving these fasteners. Hex fasteners are normally used for assembling furniture. However, a T-handled Allen wrench would be a better alternative while working with these screws as it offers a higher torque value as compared to a screwdriver with a narrow handle. 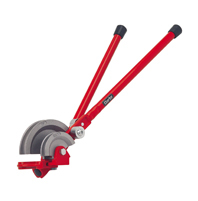 Club Hammers are most suitable for use in metalwork, light demolition, stone cutting and driving masonry nails. The new range of club hammers that have been launched in the Indian market come with a soft grip handle which makes them easy to use. Club hammers are produced from steel spring bars. Copper Hammers are applied on machinery in order to exert a force on parts that have a lesser risk of damage and also for avoiding sparks. Compared to club hammers, copper hammers are softer and can be deformed if excessive force is applied to them. The copper hammers sourced by Moglix comply with DIN, ANSI, and ISO standards and are equipped with fiberglass handles. 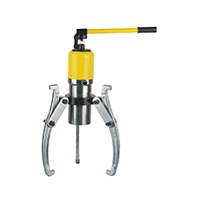 Rubber Hammers are ideal for use in activities such as upholstery, leather work, sheet metal etc. The rubber hammers available at Moglix comply with the latest ISI specifications. They have been produced using the best quality of rubber and can also be used in applications such as PVC pipe work, laminate flooring and tap ceramic tiles into place during renovation projects at home. Machinist Hammers are mostly used in metalworking. These hammers are often used by artisans in fabrication, casting, machining, jewelry making, metallurgy, and welding. What makes these machinist hammers different from other hammers is that they come with a variable shaped peen instead of a claw at the opposite end of the face. They are highly useful in order to strike to those areas which are tool mall for. 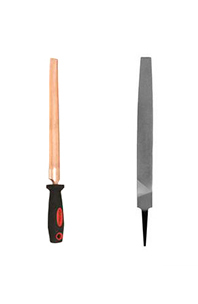 Ball/Cross Pein Hammers are best suited for use in striking and shaping metals. They are highly effective in creating the usual shape of materials used in metal fabrication. These hammers are also used for hitting punches and chisels. Ball pein hammers are best suited for use in riveting as a ball pein hammer is highly effective in riveting since the biggest risk in peening the rivet is when you hit the nail’s shaft from a close range. Mallets are used on a large scale in woodwork and carpentry. They are used for fixing pieces of wood together by striking the pieces till they fit within holes. Wooden mallets are used for producing and shaping a wide range of tools. Sledge Hammers are highly valued by construction workers for their ability to break wall and for removing concrete slabs. They are also useful for driving bolts within concrete and for stake driving. The sledge hammers available at Moglix are equipped with wooden handles which are drop forged with carbon steel during the production process. The wooden handles of these sledge hammers are also chemically treated and have a long term durability. Fencing Pliers are mostly used for cutting wires, which often makes wire cutters inoperable. The main jabs of these pliers are shaped in a way so that they can easily grip staples and twitch them out from posts. The fencing pliers that are available at Moglix are produced from high-quality chrome vanadium steel and are hardened and tempered during the production process. They come with a phosphate finish. Cutting Pliers are designed for being used in cutting edges by linesmen and electricians. The cutting pliers that are available at Moglix come with cutting edge relief. 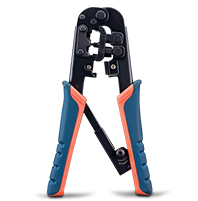 These pliers are equipped with hardened, wear resistant gripping jaws. They are induction hardened during the production process and have dual component handles that offer a comfortable grip. Their fully hardened body offers a high level of performance. Circlip Pliers are best suited for use in removing and installing circlips when they need to be cleaned, replaced or removed so as to gain access to other parts. The circlip pliers that are available at Moglix are suitable for use in a wide range of applications such as blenders, washing machines, cars, and bicycles. 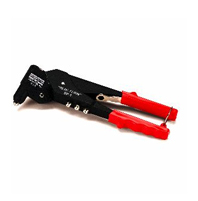 Combination Pliers are used by electricians for twisting, bending, gripping as well as cutting wires and cables. The pliers that Moglix offers as a part of this range are equipped with jaws that are highly proficient in gripping and offer a cutting edge to users. They are equipped with insulating handles which minimize the risk of the user being exposed to electric shocks caused by contact with live wires. Therefore, these combination pliers form a part and parcel of every electrician’s tool kit. Water Pump Pliers are gripping pliers that come with an adjustable joint. The jaw width and gripping capacity can change according to the position the plier is set in. The angular/oval jaw opening is normally saw-toothed and is called burner hole. The water pump pliers that are available at Moglix come with round jaw finish. lk,mnfghnThey come with smooth action single joints and strong cutting edges. These lasers have bi-material grips and laser etched markings. Scissors are one of the most common tools that are used in almost every home, workshop and factory setting. While selecting scissors, you need to take into consideration the exact area in which you will be using them. The scissors that are available at Moglix are made from high-quality materials such as aluminum br7654321``1onze alloy, copper beryllium alloy etc. They are suitable for use in workshops as well as DIY alloys. Pipe Cutters are mostly used by plumbers for cutting pipes. As a tool, pipe cutters offer clean cuts and are more effective in cutting pipes as compared to hacksaws. Pincer is a hand tool that comes with two handles along with a pivot. It functions with the help of a pivot. A pincer is suitable for use in a wide range of applications such as holding objects during the process of manufacturing or construction. They can also be utilized by jewelers for creating ornaments. The pincers offered by us are coated with carbon steel powder coating during the production process and have a long lifespan. Wire Cutters and Strippers are one of the most common tools that are used by electricians in order to cut wires. Wire strippers are highly effective in cutting and stripping. The new ones which are available in the market come with a convenient hole which makes it convenient for users to loop or bend the wire. Wire cutters and stripers are highly effective in cutting through cold reeled as well as stainless steel. 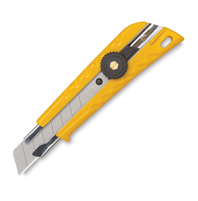 Cutting Blades are normally used in woodworking. The speed of a cutting blade depends on its number of teeth. The ones that come with more teeth are able to provide a good quality of finish. These hand tools are equipped with gullets between the teeth for removal of chips from workpieces. The expansion slots present in cutting blades help in cutting within the rim and ensure that the blade doesn’t bend while expand or contract while it is being used. They minimize vibrations, which ensures that the carpenter can make a straighter cut. Metal Cutting Tools are widely used in factories and workshops as a part of industrial processes. This includes bolt cutters, aviation tin cutters with springs, snap off cutters etc. Bolt cutters are widely used for cutting padlocks, chains, bolts etc. Aviation tin cutters, on the other hand, are best suited for cutting through aluminum and sheet metal. Trammels are adjustable tools that are used to engrave arcs and circles that are way too big for normal compasses. Trammels are highly useful for architects working in construction projects. Sliding Bars are most suitable for loosening nuts and bolts which tend to be stubborn. Best suited for use in repair and maintenance projects, slide bars of the latest range are produced from the best quality of chrome vanadium steel. They are best suited for use in DIY projects and workshops. Die Handles are used for holding round dies and are used in a wide range of industrial applications. The die handles available at Moglix include ratchet die handles, round die handles etc. The die handles that we have on offer have been procured from brands such as Metro, Bharat Tools, Sagar Tools etc. Extension Bars are normally used to reach out to recessed bolts which are not reachable for normal wrenches. Extension bars are hardened and tempered for strength and are equipped with knurled bands that offer a superior quality of gripping. These tools come with spring loaded ball bearings and have polished chrome plating which offers a visually appealing appearance. These days, extension bars also come with zinc plating. Ratchet Handles are commonly used by technicians and industrial workers as a part of their day to day work. The ratchet handles offered by Moglix have been sourced from brands like Ambika, Eastman, GB Tools, Everest, Jhalani etc. Ring Spanners are those spanners which hold the nut with a ring. Ring spanners have a fully enclosed head and usually, come with six or twelve flats. These types of spanners are normally used in corners of nuts and can be applied on hexagon and square bolts. We, at Moglix, present a unique range of ring spanners. Combination Spanners, on the other hand, are open-ended at one end and have a ring on the other. The combination spanners that are offered by Moglix have been manufactured by well-known brands such as Ajay, Ambika, Eastman, GB Tools, Jhalani etc. Adjustable Wrenches normally fit into screws and bolts. However, a major problem with them is that might not lock tightly with a nut or bolt. The adjustable wrenches are highly effective in holding the head of bolts while you are tightening a nut. Torque Wrenches are used for applying a particular type of torque to a fastener like a bolt or a nut. The torque wrenches offered by Moglix have been sourced from brands such as JCB, GB Tools, Eastman etc. Pipe Wrenches are a type of adjustable wrenches that are used for turning and fitting soft iron pipes which have a rounded surface. Pipe wrenches which are available at Moglix are carbon steel painted and are ideal for use by plumbers. L Spanners are highly effective in helping users reach out to inaccessible bolt heads. They come with ball end in their long arm and a straight tip on their short end which makes them suitable for use I high torque applications also. The L spanners that Moglix offers have been sourced from brands such as Ambitec, Eastman etc. T Spanners are used in order to reach out to areas which are very deep using their long rods. The T spanners that are available at Moglix are made from high-quality chrome vanadium steel and have a rubber grip which offers a high level of comfort to the user. These tools have been sourced from brands such as Prime Tools, Jhalani, GB Tools, Eastman, Ambika etc. 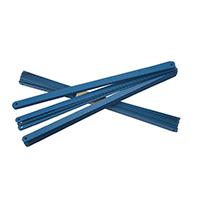 Hex Keys are used for driving hexagonal headed bolts and screw. Torx keys, on the other hand, are more suitable for use in automobiles, important machines, and equipment. The hex and torx sets that are available at Moglix have been made from CVM alloy steel. A Box Wrench is a tool which is used for fitting around a nut. It can be also useful for tightening or loosening a nut. The box wrenches which are available at Moglix have been produced from materials such as aluminum bronze alloy, copper beryllium alloy etc. Allen Keys are very useful in driving screws as well as bolts which come with a hexagonal socket on their head. The Allen keys that Moglix is offering as a part of its hand tools category have been sourced from eminent brands such as Caparo, Eastman, Ajay, Jhalani etc. Open End Wrenches are a bit angled and are often used in workshops. The open end wrenches which are offered by Moglix have been manufactured by eminent brands such as GB Tools, Eastman, Ambitec, Ajay etc. Torque Screwdrivers are widely used in automobiles, aerospace & marine manufacturing for assembling equipment that require a high level of torque. The torque screw drivers that are available at Moglix have been sourced from brands such as Mac Master. DIY Kits are essential for people who love spending their free time in handling DIY projects at home. The DIY kits that are offered by Moglix come with tools such as combination pliers, claw hammers, screwdriver sets etc. Screwdriver Sets are a part and parcel of every technician or DIY enthusiast’s toolkit. The screwdriver sets available at Moglix have been manufactured by some of the leading brands in India such as JCB, Cheston, Ambitec, Everest etc. Electrician Toolkits are essential for electricians to store all their tools in an efficient manner. Moglix offers electrician toolkits from famous brands such as Ambitec, Everest etc. Pump Kits are widely used by plumbers in order to store tools that they use on a day to day basis. The pump kits that are available at Moglix.com have been sourced from brands such as Ambitec, Everest etc. Tool Boxes play a major role in keeping al tools in one place and in a perfect working condition. Moglix presents an assorted range of tool boxes from leading brands such as Ambitec, Bharat Tools, Jhalani, Taparia etc. 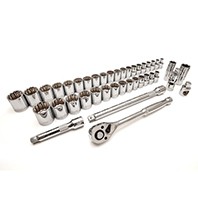 Spanner and Wrench Kits help technicians in maintaining their tools in an organized manner. Moglix has a wide range of spanner and wrench kits produced by eminent brands like Ambitec, Eastman, GB Tools etc. They come with chrome plating. Tool Cabinets help both professionals as well as home-based users to store their hand tools at one place. The tool cabinets from Moglix have ample space to store all types of tools. They have been procured from brands such as Eastman, Taparia etc. Socket Sets are used for tightening or loosening bolts. Moglix deals in socket sets of all types such as hexagonal square drive socket sets, square drive socket sets, hexagonal square socket sets etc. Clamping Tools are highly useful in DIY projects. The clamping kits available at Moglix are available in different sizes and have been sourced from brands such as Unique, Precise, and Veto. Die Sets are used for cutting threads on the top of a cylinder. The die sets which are able at Moglix have been manufactured by brands such as Forzer, Groz, Metro etc. Milling Tables are used in workshops for machining small or big workpieces. Moglix presents a vast range of milling tables sourced from brands such as Aries, Veto, and Crystal. C-Clamps are used for holding wooden and metal workpieces and are widely used in carpentry and industrial applications. The C-clamps that are available at Moglix have been sourced from brands such as GB Tools, Jhalani, Ambitec etc. G-Clamps are used for tightening screws. The G clamps that have been sourced by Moglix are drop forged during the manufacturing process and have been produced by brands such as JCB, Dayton, Eastman etc. Pipe Vices are used for plumbing and are utilized for holding pipes for threading and cutting. The pipe vices that are available at Moglix have been sourced from brands such as Ambika, Ambitec, Metro etc. Parallel Clamps are used for assembling book shelves and boxes that require perfect parallelism. The parallel clamps available at Moglix have been sourced from brands such as Bharat Tools, Sagar Tools etc. They are best suited for domestic use and have high durability. Bench Vices- A bench vice is used for holding a workpiece on a workbench firmly. Moglix offers bench vices produced by leading brands like Ambitec, GB Tools, JCB etc. Machine Vices- Machine vices are installed upon grinding & milling machines as well as drill presses. The new range of machine vices offered by Moglix have been produced by brands such as Aries, Toolfast, Veto etc. Sine Vices- Sine vices are special purpose tools which are used for holding work from highly accurate angles. The sine vices offered by Moglix have been manufactured brands like Toolfest, Veto etc. 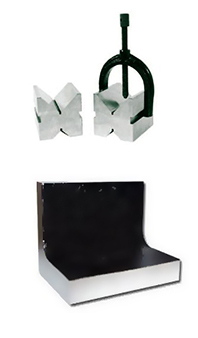 Swing Clamps- Swing clamps are used for quick clamping of metal as well as non-metallic products. The new range of swing clamps available at Moglix is ideal for use in industrial applications. Clamping and positioning tools are best suited for use in pulling or spreading apart large, flat sheet of materials. They are suitable for use on surfaces such as metal, plastic, glass, marble, coated wood etc. Ball Blocks are widely used in inspection setups. The ball blocks are most suitable for use in inspection and detection of defects, lobes, out of round conditions and lobes without damaging the inspected parts. Parallel Blocks are used when using a drill or similar tool which involves work which needs to be held with clamps or a vise. Moglix deals in parallel blocks from brands like Metro, Sagar Tools, Bharat Tools etc. Magnetic Adapter Plates are widely used for machine tolling. The new range of magnetic adapter plates at Moglix have been sourced from brands like Crystal and Bharat Tools. Angle Plates are normally used in engineering applications. The angle plates available at Moglix are suitable for use in a wide range of industrial applications. Files and rasps are effective for shaping and smoothening tools. Selecting the right type of rasp or file to a great extent depends on the type of finish you desire to have. To help you do that, Moglix has come up with a wide range of file rasps. Round Files and half-round files are used in different types of applications like woodworking, metalwork etc. The round files available at Moglix have been created by brands like Taparia, Pilot etc. Flat Files are used in different types of industries like petrochemical, oil & gas etc. The flat files offered by Moglix have been manufactured by brands like Ambika, Bharat Tools, Taparia etc. Taper Files are used for are highly useful in removing metals, wood, and plastic for removing excess material from workpieces. Moglix offers taper files from brands such as Taparia, Pilot etc. Hacksaws are widely used for cutting metals. Moglix offers the latest range of tools such as GB Tools, Ambika etc as a part of its hacksaws and accessories category. Hacksaw Blades are commonly used in applications such as cutting and sawing. The hacksaw blades offered by Moglix have been sourced from brands like Taparia, Ambika etc. Sockets are essential for ensuring the proper charging of devices such as laptops and mobile phones. At Moglix, we offer a wide range of sockets and accessories sourced from eminent brands such as Anchor, Switch Control India etc. Socket Bits are utilized for connecting a turning tool like a ratchet in a similar manner to a hex socket. Moglix deals in socket bits produced by brands like GB Tools, Multitec etc. Drive Sockets are mostly used for home improvement purpose. The drive sockets offered by Moglix come from brands like Ambika, Eastman, GB Tools etc.Hex and Bi-Hex Sockets are also available as a part of the category. Pullers and separators are vital tools for any workshop or garage. Moglix offers a wide range of products in this category ranging from gear pullers and bearing pullers to magnetic sheet separators. 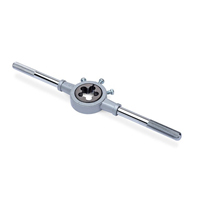 Gear Pullers are used in a wide range of applications like removing ball bearing and wheels from shafts. The gear pullers offered by Moglix are drop forged with high-quality steel and are hardened and tempered with accuracy for withstanding high torque. Bearing Pullers are used in automotive applications. The bearing pullers available at Moglix.com have been sourced from brands like Ambika, Aries etc. Magnetic Separators are highly effective in the mining industry. The products which Moglix offers in this range have been sourced from brands such as Ambika, Bharat Tools, Everest etc. Die sets are used for creating screw threads. Moglix’s collection of die sets have been sourced from brands like Metro, Forzer etc. Punches are commonly used by mechanical engineers for locating centers for drawing circles, punching holes within sheet metals, removal of damaged bolts, rivet, pins etc. They are also used for starting holes for drilling purpose. Pin Punches are widely used in home improvement projects. 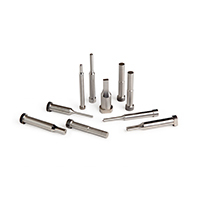 The pin punches that Moglix offers in this range have been produced from drop forged and heat treated steel. 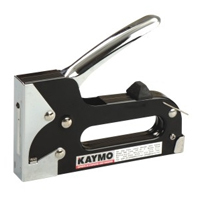 Number and Letter Punches are widely used for stamping. The number & letter punches that Moglix offers in this range have been manufactured by brands like JCB, Sagar Tools etc. Center Punches help a drill to make a make a hole in a spot without slipping. The center punches offered by Moglix have been sourced from brands like JCB, GB Tools, Dayton etc. Magnetic tools are a type of hand tools that are used in different types of industrial applications like transportation, hoisting, mounting, clamping, welding, and separating. Moglix offers magnetic tools from brands like Taparia, Bharat Tools, Groz etc. Button Magnets are used as work holding devices in applications such as wood cutting, welding etc. The button magnets offered by Moglix have been sourced from brands like Crystal, JPK etc. Magnetic Bars are often used as fridge magnets. Moglix deals in magnetic bars sourced from brands like Taparia, Bharat Tools, Crystal etc. Pot Magnets are used as magnetic bases in large supermarket storage signs. Moglix offers pot magnets from brands like Sagar Tools, Crystal etc. Magnetic Stands are normally utilized with test indicators and dial indicators. Moglix deals in magnetic stands from brands like Groz, Vacado Tools etc. 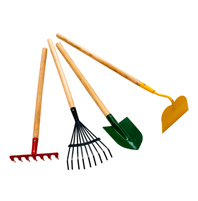 Gardening tools are used for optimum maintenance of gardens. Moglix offers a wide range of gardening tools such as pruning shears, sprinklers, shovels etc. 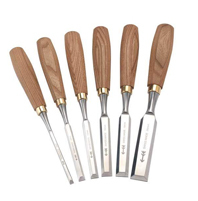 Chisel is a type of hand tool which is normally used for either cutting or carving hard materials like wood, stone etc. They are commonly used by masons and carpenters. 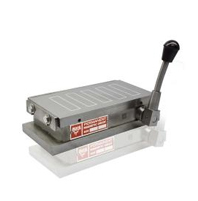 Flat Chisels are used for cutting bars, rod and sheet metals etc. The flat chisels offered at Moglix have been manufactured by brands like GB Tools, JCB etc. Octagonal Chisels are ideal for use in metal working. The octagonal chisels available at Moglix are hardened and tempered during production and offer optimum hardness. Pneumatic Chisels are used for carving marbles, dental labs etc. The pneumatic chisels which are available at Moglix have been procured from brands like Taparia, Venus etc. Air and caulking guns are widely used in home maintenance and renovation projects. 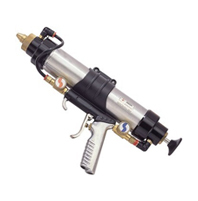 The air and caulking guns available at Moglix have been sourced from brands like Dayton, Milwaukee etc. Crimping tools are used for joining two metal pieces by deforming either one or both of them to hold them together. The compression tools offered by Moglix have been procured from brands like Jainson, GE Tech etc. Pipe benders are suitable for use in a wide range of applications starting from automotive hydraulics to interior decoration. The pipe benders available at Moglix have been sourced from brands like Forzer. One of the first things that you will need to pay attention to is the work for which you will be using them. So, you need to select a hand tool after checking the manufacturer’s recommendations. Doing so will ensure that the tool doesn’t get damaged while you are using it. The price of the tool should also be taken into consideration. But make sure that you don’t compromise on the quality of the product. Also, check the technicality of the device that you are going to buy. A clear idea about the characteristics of the tool will help you to be sure whether it will suit your needs or not. Check whether the device you are going to buy has a guarantee or warranty or not. The products that come with a warranty can be replaced if they have a defect during the warranty period. To ensure that your tools remain in the best working condition, you need to ensure that they are well maintained. Start the maintenance process with the tune-up process. Tools such as chisels do not come in a ready to use working condition. Often, the sole will have a hollow in its length or with which will have to be corrected before it can be worked properly. Tools such as chisels and scrapers require a tune-up to do away with burrs which can have an impact on their performance. Rusting is a common problem with most hand tools. Once you make sure that your hand tools kits are well tuned, it is a challenge to maintain it in that manner. Hand tools can out last power tools if they are maintained with care. By ensuring that the tool box is free from moisture, you can check any possibility of rusting. Also, ensure that your tools are free from scratches and dents. This will ensure that your hand tools provide you with a perfect, highly satisfactory quality of service over a long span of time.